As soon as you map a structure definition, you can edit the structure fields. Place the input caret anywhere in the structure data and select the Edit Structure command. The Edit Structure dialog displays the data in the structured form. 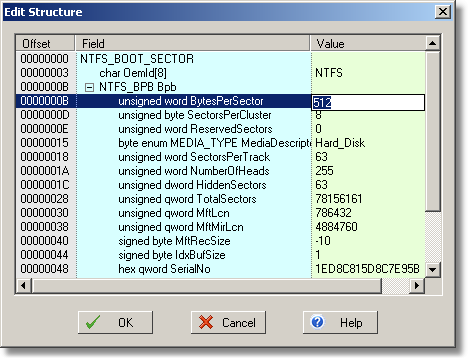 If file editing is allowed, clicking a value field opens an in-place editing window.